Canadian Trappers Talk Forum • View topic - best satellite phone? Post subject: Re: best satellite phone? We have a Globalstar 1600 since 2002 and I agree with Freerangetrapper comment. But I have a question for him and Merrickvilleguy, how do you managed to keep the older plan ? I'm quite sure that the only plan actually aviable was "Evolution II" at 39,99$/month. Few year ago we have the "Evolution" at 19,99$/month, but they change our... By the way "Evolution 2" plan is aviable before the end of the month, but what will be aviable after that??? I just bought and set up my new Globalstar Sat phone. I have used these phones for years way up north when I was guiding big game hunters and had no problems with both. Like I said I was going to up -date and I pay $40.00 a month unlimited talk and text time anywhere in Canada, no roaming fees and I have been using it these last few days and have no problem. I checked into Iridium and felt it was way over the top for charges. I have no problem with Globalstar phones and no problem endorsing their phones, but it all boils down to what your personal preferences are what you wanna spend per month to have a phone. Good phone hunting in which ever you choose. I'm going to check into that harfang, thanks for the heads up, mine is up for renewal in a few weeks, I pay once a year and last year in February when renewed and the amount was atomically taken of my credit card so i can't really tell you why i still payed $19,99 a month? Honestly, I'm not entirely sure, we didn't do anything really, we're paying $25.94+fees now for the "2010 Launch Plan"? Actually I'm not going to inquire, I'll just let them renew my contract and see what gives! BTW globalstar is getting more satellites shot into orbit today so I'm assuming we're all going to see a rise in fees after this! FRT it,s mean with global i can talk enough all day long with just -/+ 5 minutes off time between duration, it,s that it is ok for me, what,s best global model i must look for, harfang talk 1600?? for trapping harsh weather conditions? We have a GSP-1600, but this model is not longer aviable from Globalstar (maybe on E-Bay or used). The current model is the GSP-1700 and it is a very nice model, that I use went I work at Etamamiou in 2009 and 2010. The 1600, was a lot cheaper went they start offering the 1700. 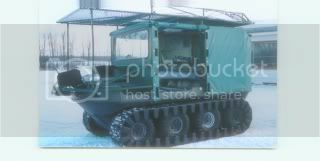 We buy our in 2002, for 900$ and the last one were sold for 400$ with the car kit...who can be use to call in your cottage or your car away from rain and cold. We carry our 1600 in a Pelican case on the line or at hunting in all wheather and for the last year the time coverage is very acceptable for a "normal" and emergency use. If you have a busy buisness and data to transfert it could be different. ok thank Harfang as you know where i,m trapping do you think it good for my areas for just safety tool ?On other subject i have receiving a good sound from MRNF for lynx quotas, i will send a PM for it ok.
Andy check out the link i posted, it the call times tool from globalstar, it'll tell you what the call times and duration of calls are in your area. Update harfang....i just received my bill for February 15/2013 to February 15/2014, I'm paying same as last year..$370ish which comes to little under $31 per month tax & everything included. FRT you probably have a old annual plan who are not longer available for a new customer but I glad you can keep it... Can you share the name of your plan ? ... Can you share the name of your plan ? The "Customer Plus Annual" plan.